Fusing the rich reggae/ dancehall heritage that originates in their homeland of Jamaica, with the urban contemporary styles that dominate American popular radio, is effortless for the Band “Wraps and Kush”. The six member ensemble, from Jamaica, now all residing in Miami Fl, comprises of Jhoniel Ferguson on Bass, Vincent “Vinnie” Hamilton on Keys/Piano/Flute, and vocals, Kevaun “Kevo” Williams on guitar, and vocals, Brian Williamson on Drums, Grammy nominated songwriter Joseph “JWill” Williams on Lead Vocals, and accomplished songwriter Gregory “GCole” Cole, on Lead Vocals. 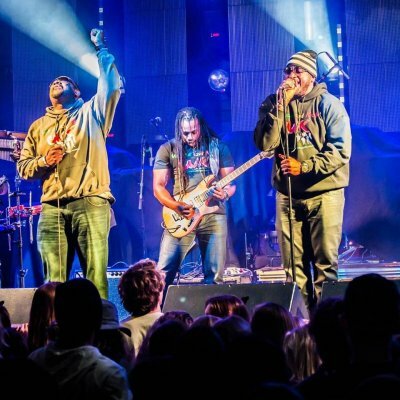 Wraps and Kush, has brought their high energy, soul penetrating sounds to Jamaica, Europe, and across the US, to rave reviews. They have shared the stage with Damian “Jr Gong” Marley, Kymani Marley, Stephen Marley, Ziggy Marley, Sizzla, Gentleman, Jill Scott, Diana Ross, Hugh Masakela, Etana, Byron Lee, and many more. 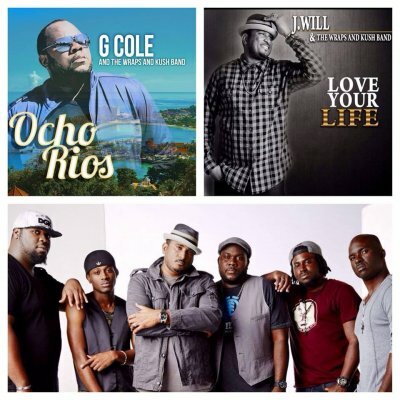 The Band is currently rising in popularity due to two acclaimed albums "Ocho Rios" released Oct 2013, and "Love your life" being released on April 20th 2014. With four singles; "I think I'm in love", "Old Days", “Bass Drop”, and “When I” currently getting frequent radio airplay, and the videos on video music channels, the sky’s the limit for Wraps and Kush. 2013 was a phenomenal year for the band, playing a host of sold out shows with West Coast based bands; Tribal Seeds, Ballyhoo, Through The Roots etc, also with New York based band John Browns Body. The new year finds the band moving at an even faster pace, Playing more sold out shows with Reggae legends "The English Beat", and the incomparable "Steel Pulse"
The band is currently preparing to launch a US tour in support of the albums, so look out for Wraps and Kush on your radio, and coming to a stage near you.